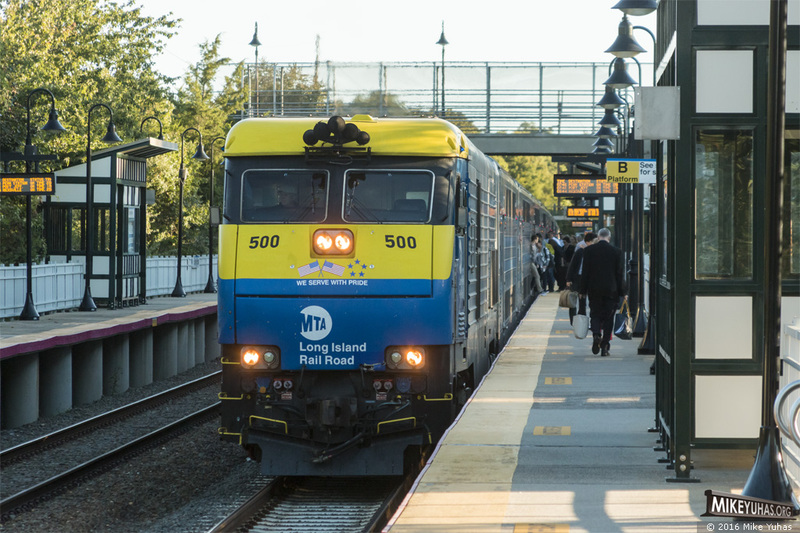 Long Island Rail Road train 615 makes its station stop at Stony Brook. This is one of the two westbound morning trains that run direct from Port Jefferson to New York's Penn Station. This is accomplished with a DM30AC dual-mode diesel/electric locomotive on each end of the train. Most other Port Jefferson rush-hour trains terminate at Hunterspoint Avenue in Long Island City.